Astrium has signed a contract worth €55.2 million with the Vietnam Academy of Science and Technology (VAST) for the development, manufacture and launch of an Earth observation optical satellite system. 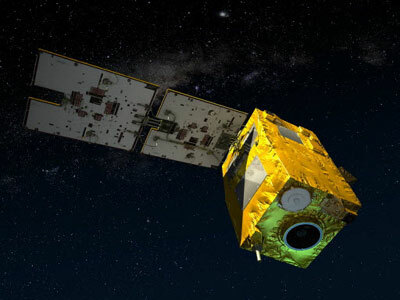 The contract awarded by VAST – the national institution responsible for setting up Vietnam’s Earth observation space programme – relates to the VNREDSat-1a (Vietnam Natural Resources, Environment and Disaster Monitoring Satellite) and the corresponding ground systems. This programme is the result of an initiative by the Vietnamese government to create a space infrastructure enabling the country to better monitor and study the effects of climate change, predict and take measures to prevent natural disasters, and optimise the management of its natural resources. More generally, it will allow the country to advance its knowledge in the field of space engineering and benefit from the ensuing economic and technological growth to create new employment opportunities. The space system comprises an optical satellite capable of capturing images with a resolution of 2.5 m, the associated ground control, image receiving and processing stations, and a co-operation and training programme for the Vietnamese engineers. The image receiving and processing terminals will be integrated in Vietnam’s existing ENRMS monitoring station, a multi-satellite ground facility operated by the Ministry of Natural Resources and Environment. The NAOMI (New AstroSat Optical Modular Instrument) of AlSat-2, SSOT and SPOT-6 heritage is a high-resolution pushbroom imager based on a Korsch-type telescope designed and developed at EADS Astrium SAS. The imager provides imagery of 2.5 m in Pan and four multispectral (MS) bands of 10 m GSD. The satellite was built in Toulouse by a team including 15 Vietnamese engineers.